Samsung is rolling out the much-awaited Nougat update to the Samsung Galaxy S6 Edge plus in the Philippines. 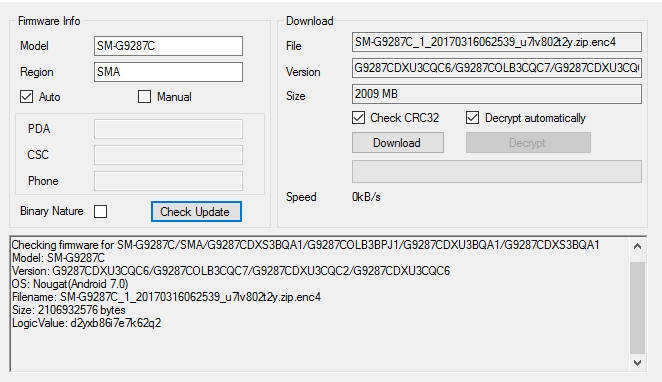 The update takes the device to its latest firmware build G9287CDXU3CQC6. Following Turkey, the Philippines becomes the second country to receive the official 7.0 Nougat upgrade for the Galaxy S6 Edge plus variant. The update comes in the form of OTA(Over-The-Air) and can be installed on your device via System Updates under Settings. However, you will only receive the OTA if you are already on the stock Marshmallow firmware. This also means the Android 7.0 OS upgrade brings the latest Grace UX called Samsung Experience, previously known as Touchwiz. Moreover, the update gives the model SM-G9287C its PDA G9287CDXU3CQC6 and CSC G9287COLB3CQC7 respectively. The Odin flashable files are also available and can be download directly from the Samsung servers using our tutorial given below. This firmware build also takes the device SM-G9287C to the latest March 1, 2017, Security patch level from the AOSP. Currently, the Nougat update is available for the Philippines and Malaysia will follow soon. The Odin flashable files weigh around 1.96GB and can be downloaded from Samsung servers using this link. Check out the screenshot below. How to install the Nougat firmware G9287CDXU3CQC6 on SM-G9287C? Head over to the full tutorial on how to install the Android 7.0 Nougat update onto Samsung Galaxy devices. If you find any issues with the download links or how to install the same, let us know in the comments section below. We will surely help you as soon as possible.